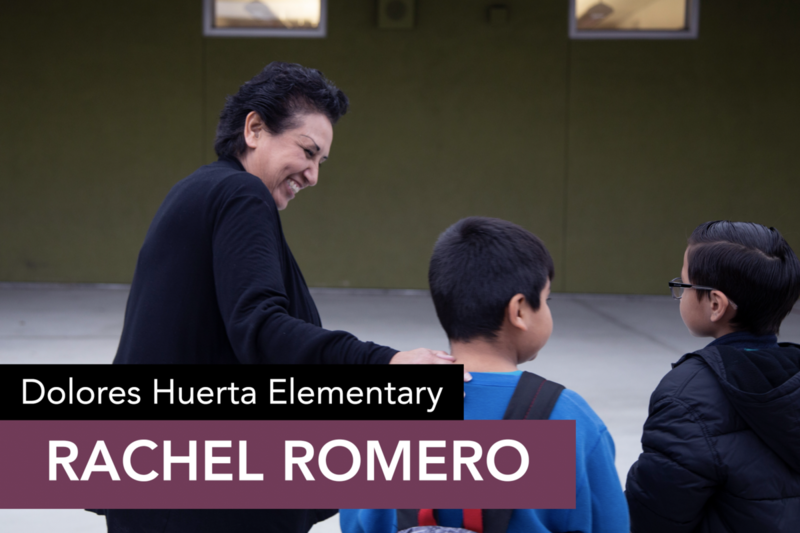 Rachel Romero is highly committed to increasing student academic success at Dolores Huerta Elementary School and everyone notices. For example, she motivates and supports student challenges through daily responsibility contracts tailored to the needs of each child. The responsibility contract strengthens the partnership between counselor, teacher, and student. 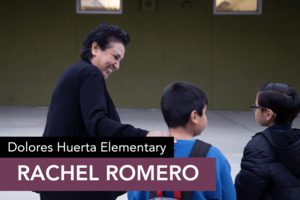 The consistency of the daily contracts promotes student organization and responsibility, allowing Ms. Romero to focus on individual student success plans. Once a student reaches 10 days of "perfect" completed responsibility contracts, they celebrate with a small pizza lunch party in their honor. The ultimate goal is to develop excellent student habits that will become intrinsic and lead to long-term student academic success. Thank you Rachel for your tireless effort to guide our students towards success!